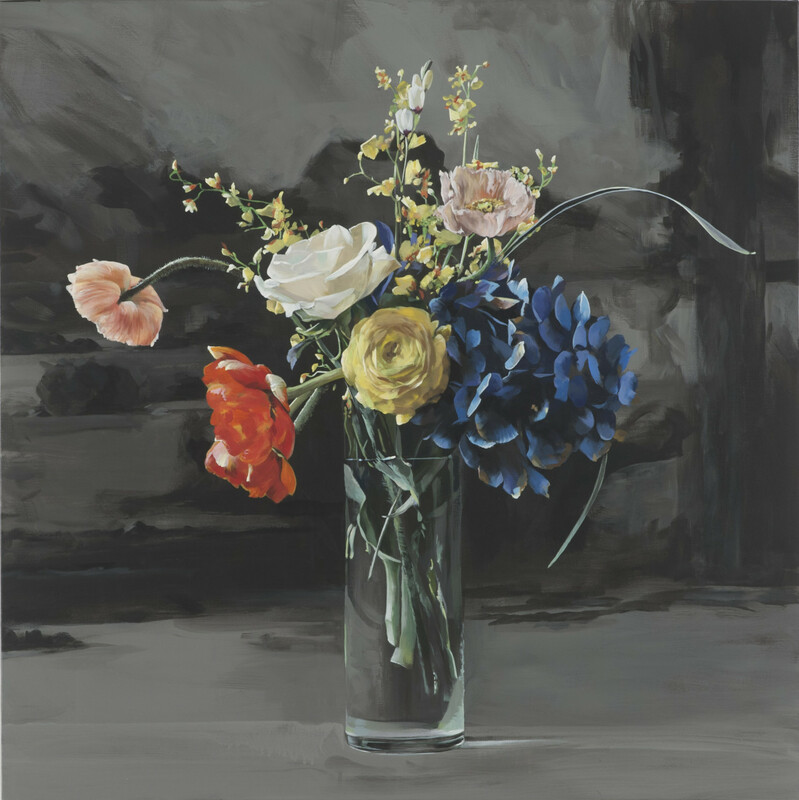 Schonzeit’s floral still life paintings are abstract in conception. They focus on space and color. 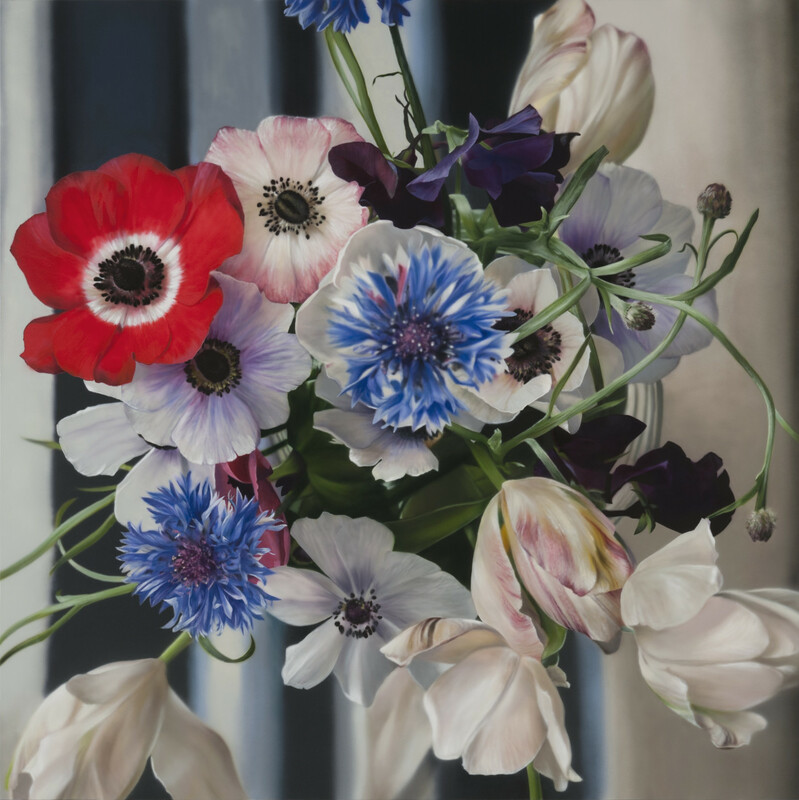 The scale of these paintings is essential to understand the work. 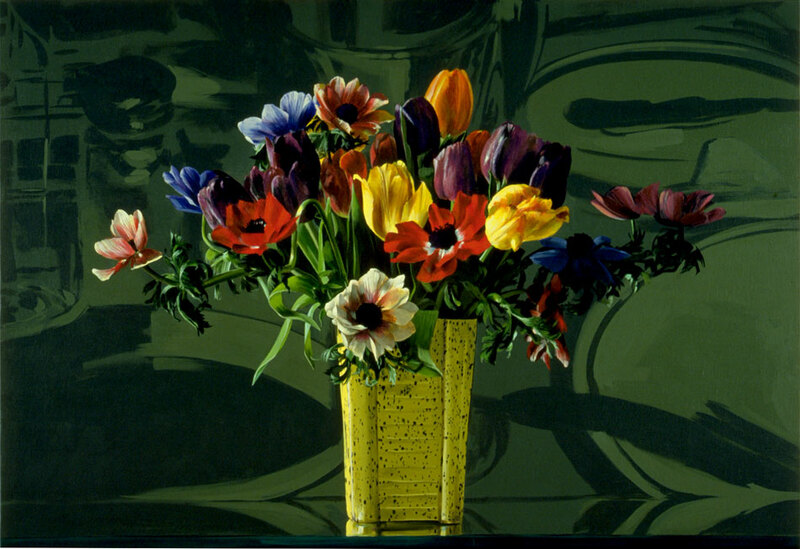 The flowers are arranged by the artist, photographed, and then painted. 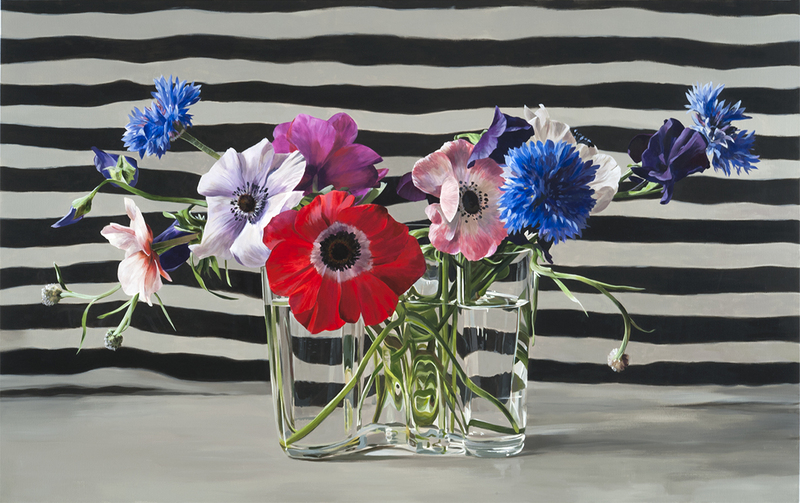 Aalto Anemones, 2014. 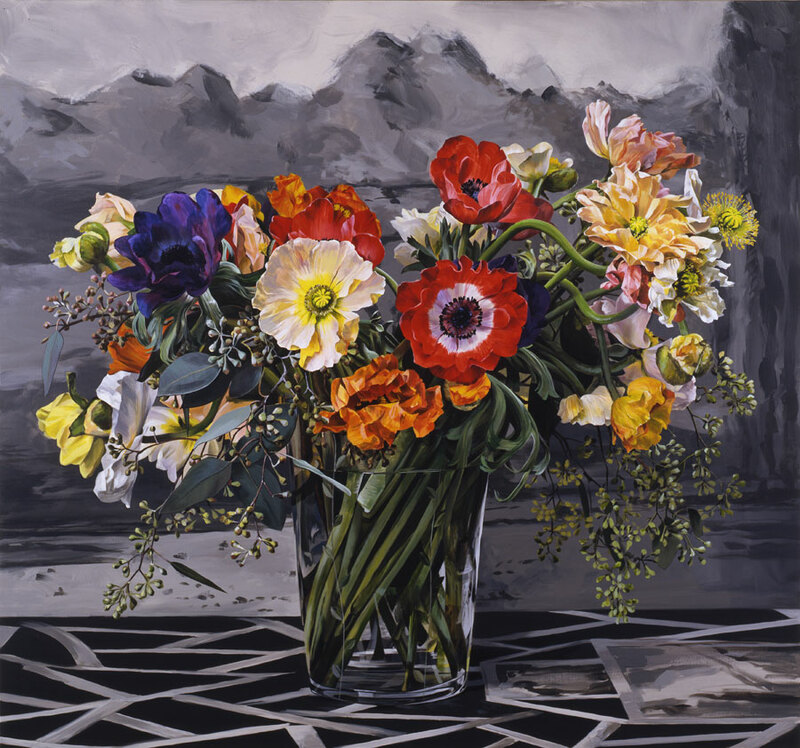 Acrylic on Linen, 54" X 84". Yellow Run, 2014. Acrylic on Linen, 48" X 48". 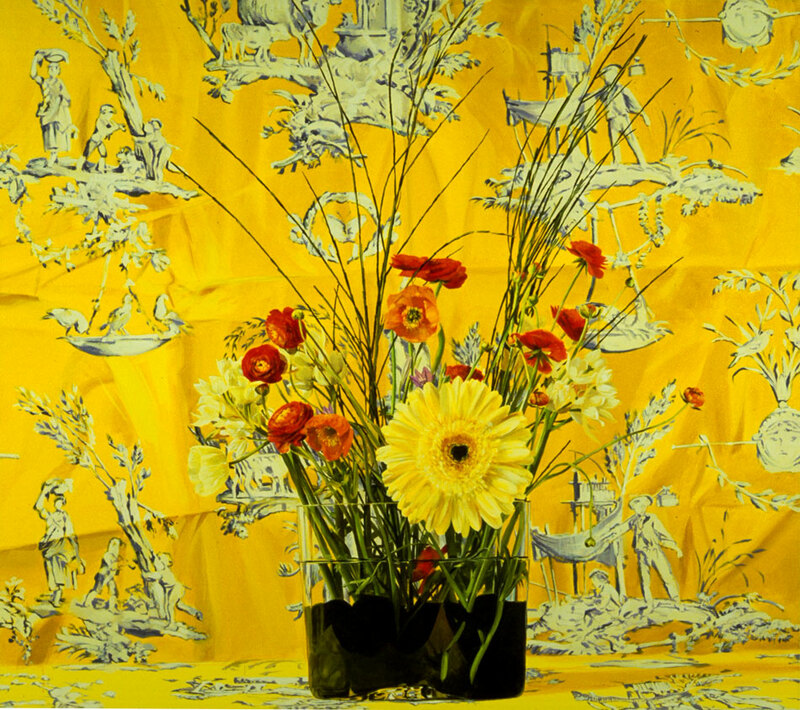 Flowers From Above, 2012. Acrylic on Polyester, 60" X 60". 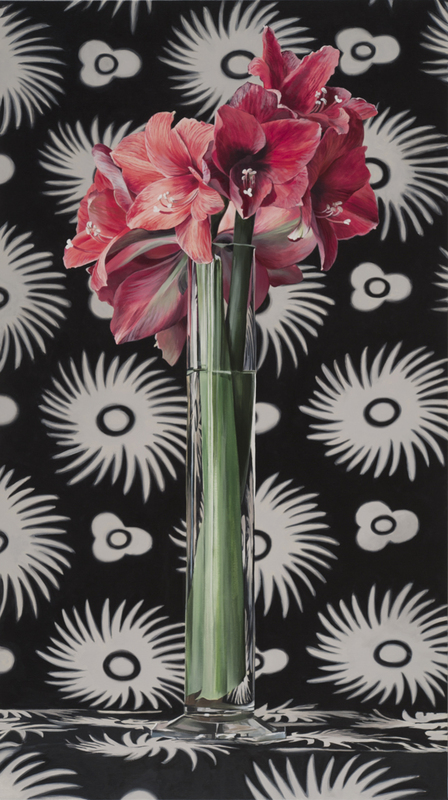 Amarylis Swirl, 2010. Acrylic on Linen, 66" X 36". 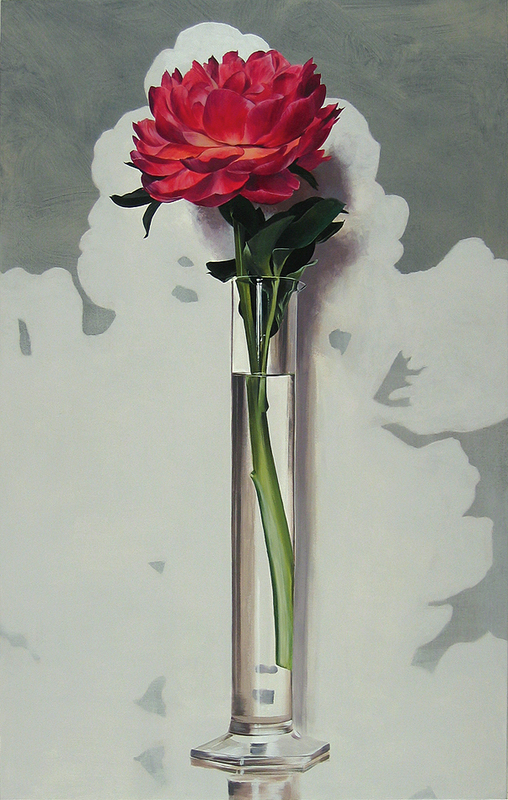 Silver Pink Peony, 2006. Acrylic on Linen, 54" X 34". 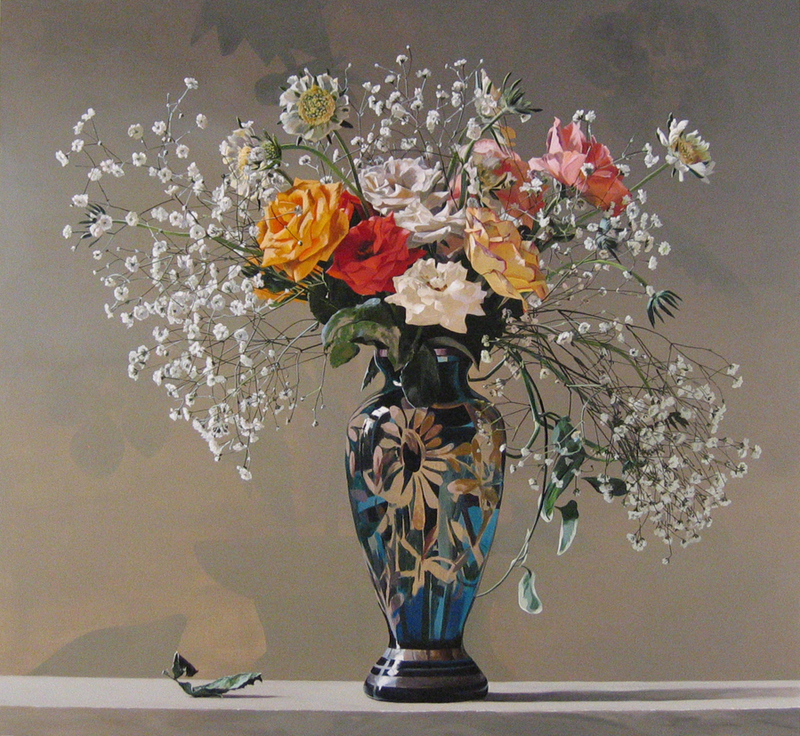 Silver Blue Vase, 2006. Acrylic on Linen, 66" X 72". Multi-Floral AZ, 2005. Acrylic on Linen, 78" X 84". 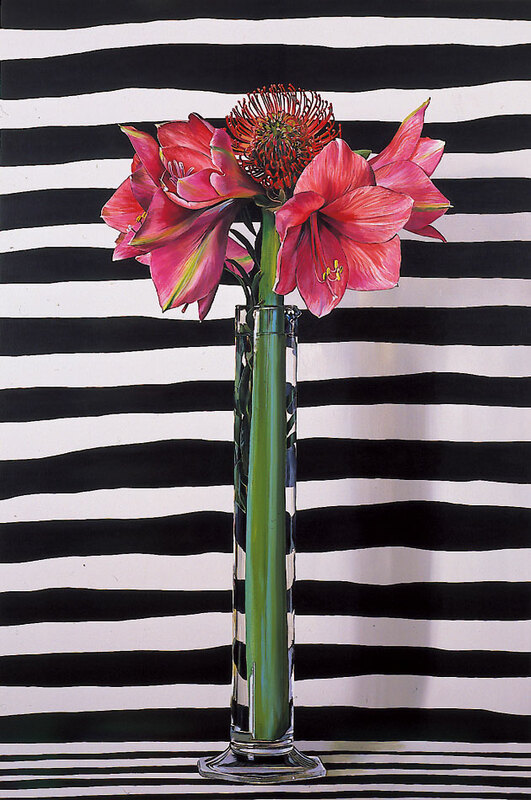 Protea and Amaryllis With Tie, 2002. Acrylic on Linen, 80" X 54". 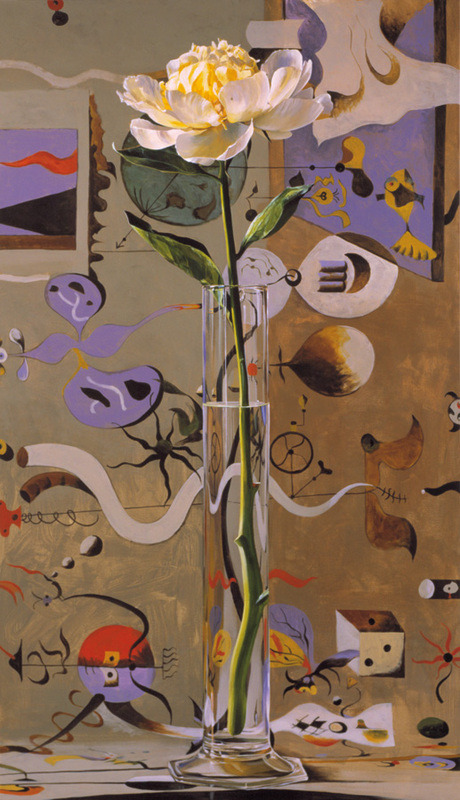 Miro, Peony, Graduate, 2001. Acrylic on Linen, 59.25" X 39.5". 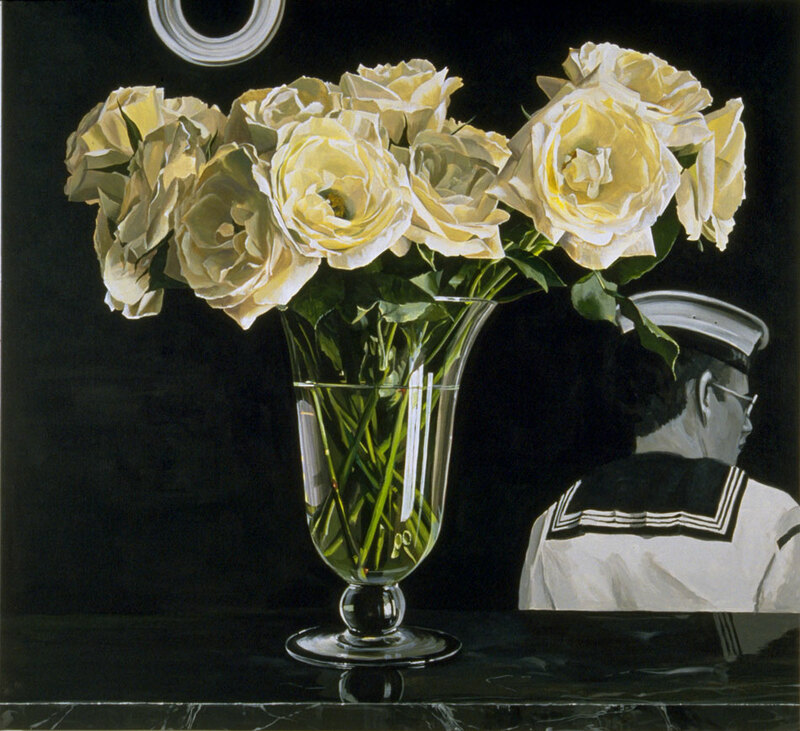 White Roses on Black, 2000. 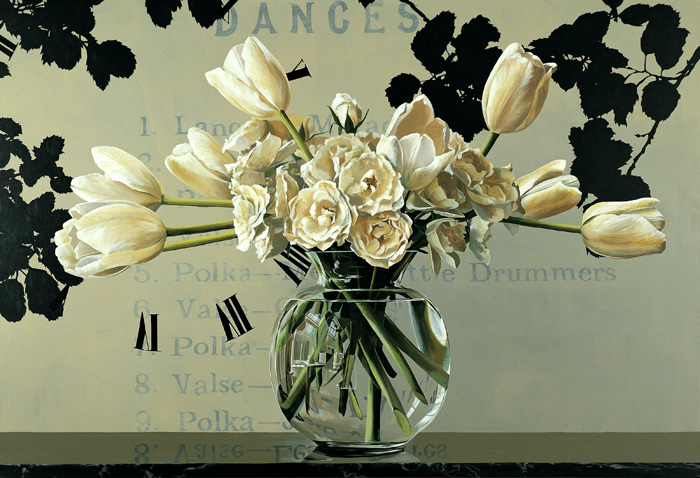 Acrylic on Linen, 44" X 48"
Dances, 1999. Acrylic on Canvas, 66" X 96". Danish Gold, 1998. Acrylic on Linen, 72" X 78". 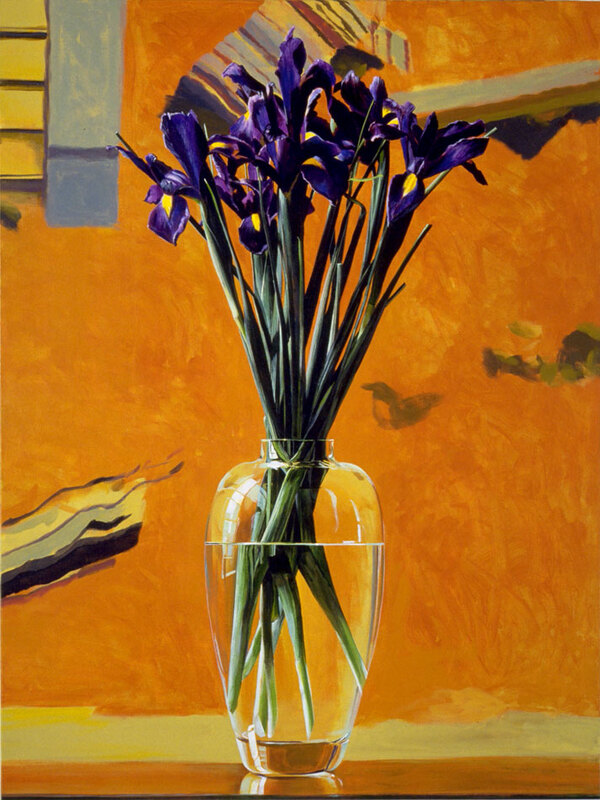 Orange Iris, 1992. Acrylic on Linen, 48" X 36". Aalto Dot, 1988. Acrylic on Canvas, 36" X 78". 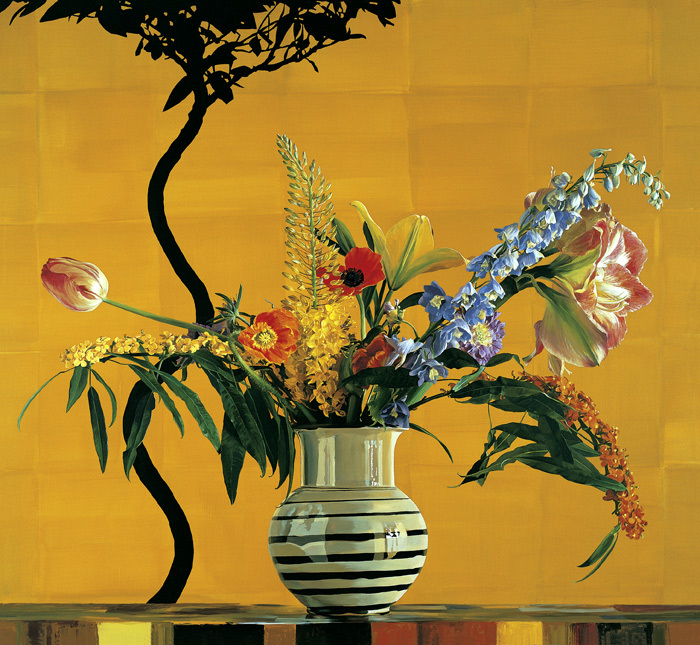 Speckled Vase, 1988. Acrylic on Canvas, 46" X 66". 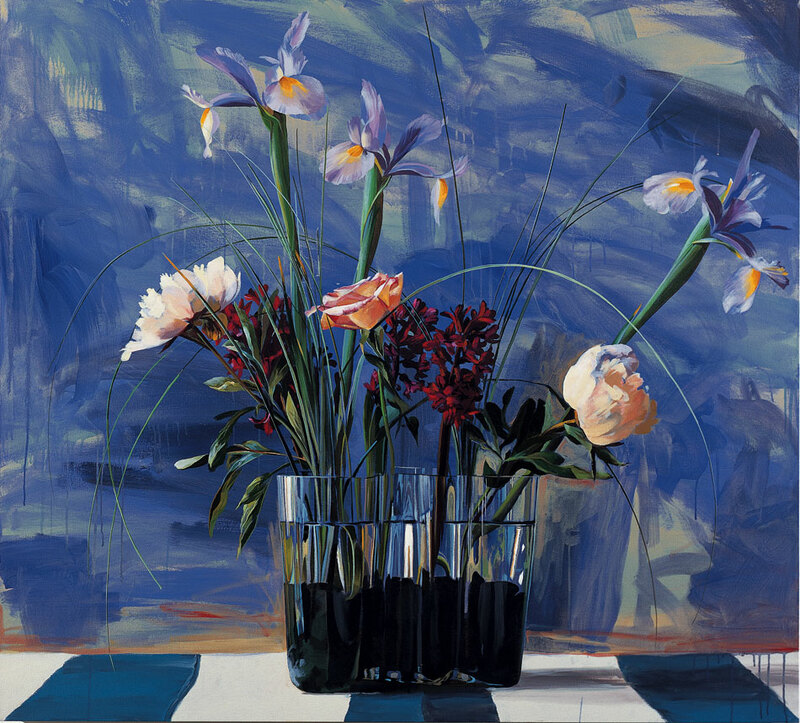 Aalto Blue, 1985. Acrylic on Canvas, 60" X 66". Aalto Yellow, 1985. Acrylic on Canvas, 60" X 66". 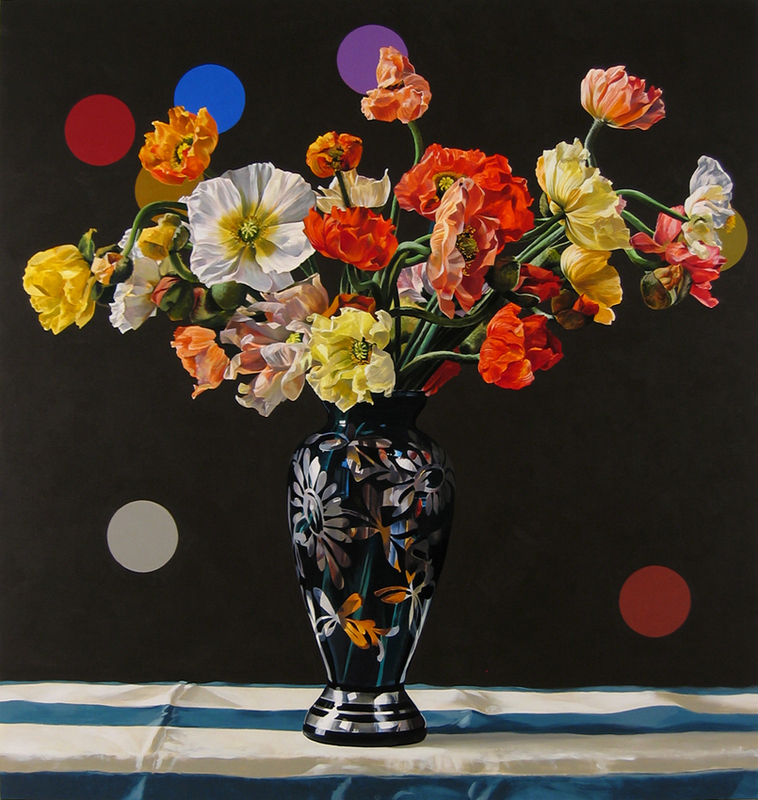 Dark Chocolate Dot Poppies, 2006. Acrylic on Linen, 78" X 74".